We are authorized distributor for Carlo Gavazzi India, fotek India, meanwell India. 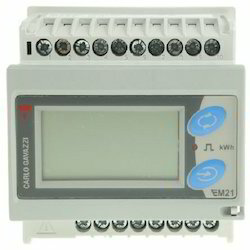 Carlogavazzi energy-meter consist of panel and din-rail mounting with rs-485 communication to interface with the PC. You can choose the energy meter product which you want from our below listings, since you can able to select model wise or share the specifications of yours, our team will contact you for further discussions to assist you in a better manner. 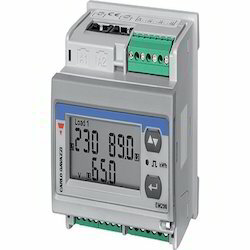 Single-phase energy meter with electro-mechanical data displaying; particularly indicated for active energy metering and for cost allocation in applications up to 45 A (direct connection), especially when energy reading is necessary during power down. Housing for DIN-rail mounting, with IP51 front degree protection. The meter is provided with pulse output proportional to the active energy being measured. Carlogavazzi energy meter Hyderabad, our major customers are presented in all over India. We are covering the following areas like Carlo gavazzi Chennai, Madurai, Fotek Coimbatore, Pondicherry, Carlogavazzi Bangalore/Bengaluru, Hubli, Hyderabad, sensors Vizag, Carlogavazzi Mumbai, Biwadi,carlo gavazzi Delhi, meanwell Pune, Noida Andhrapradesh, fotek Haryana, Faridabad, Ghaziabad, Carlogavazzi Gujarat, Baddi, Indore, Surat, Carlo gavazzi Ahmedabad, Vadodara, Vapi, meanwell Tamilnadu, Carlogavazzi Maharashtra, Meanwell Kolkata, Westbengal, Udaipur, Jaipur, Carlogavazzi Punjab, Silvassa, Ludhiana, Kashmir, Carlogavazzi Goa, Jharkhand, Odisha, etc. We are an eminent entity engaged in offering an extensive range of quality assured DC Energy Meter. 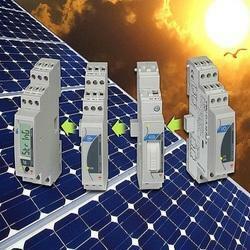 Owing to features like durability and easy installation, the offered meter is extensively used DC devices. A team of our vendor’s adept professionals, with hard-earned experience manufacture the offered meter using high grade raw material. The offered meter is available with us in various sizes, designs and other related specifications. Keeping track with the market development, we are engaged in offering our clients with a wide collection of Energy Meter for Renewable Energy. The offered meter is manufactured using excellent quality raw material and latest technology by our vendor’s skilled professionals. In order to ensure quality, this meter is stringently tested on various parameters by our experts. Apart from this, remarkable quality and sturdy structure increase the demand of our offered range in the market. Wdmd, Wdmd max, var, PF, Hz, Phase-sequence.